Sound nice, but it is for all sockets? 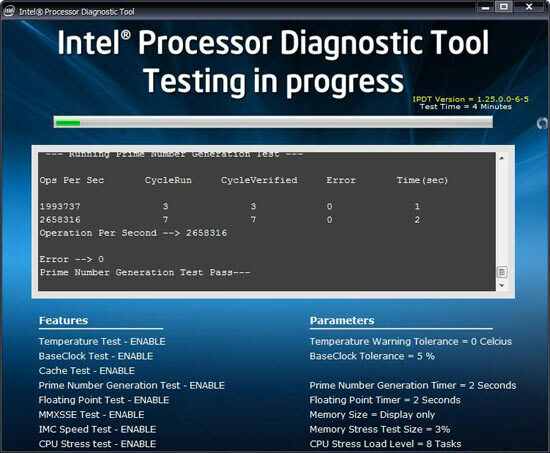 "The Intel processor diagnostic tool is compatible with multiprocessor systems. It is essential that only one Intel processor is tested at a time in this system configuration. Intel processor diagnostic tool does not support multiple processors inserted into a multiprocessor system configuration." processors inserted into a multiprocessor system configuration." Try out our free 642-997 exam and latest comptia 70-480 dumps training courses to get high flying success in final Certkiller JN0-343 and www.mountwashington.edu exams, mcts Harvard University is also very useful tool. Hi and welcometo ocaholic Naveed! I'm sorry, but I don't really understand what point you want to make.